Humble seeds need regular water, adequate sunlight, and a good soil to germinate into blossoming plants. People need consistency, challenge, and a healthy environment to reach their full potentials. So when asked if employee training is important, the answer is obvious. Employee training is important. While this answer seems obvious to experienced managers worldwide, not every company has got this one right. This is because everybody wants to see growth, but not everybody’s willing to undergo the process of growth. Why? Growth is difficult and costly. To create the environment for growth, you need to invest resources — time, money, and effort. 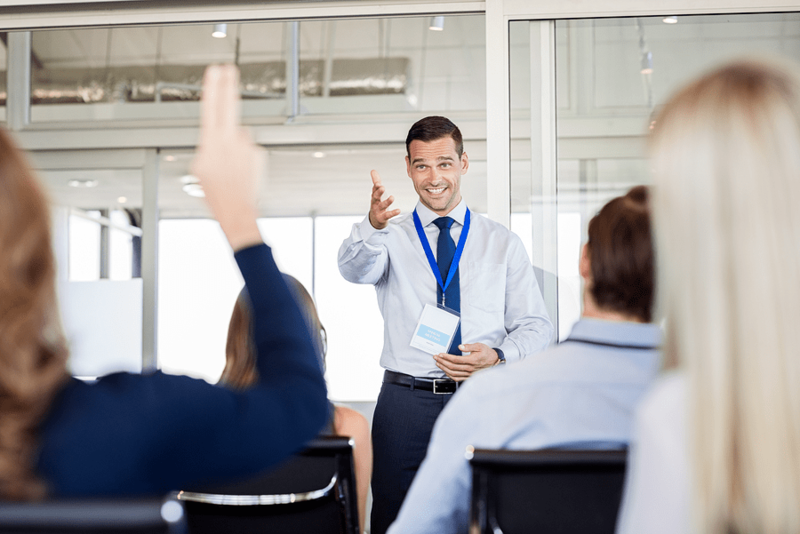 WHY IS EMPLOYEE TRAINING IMPORTANT? Lack of challenge and stimulation leads to boredom. Boredom leads to stagnation. Stagnation brings entropy. If you’ve noticed a dip in their performance, it could just mean that they aren’t as stimulated as they used to be. It’s the same thing as muscle building — if you don’t use it, you lose it. Employee training prevents these by maintaining a consistent baseline of experience and background knowledge. Additionally, regular training makes sure that their professional knowledge is up to date with the latest information. You don’t want your company to be behind your competition just because you are still carrying outdated industry dogma. Not only does employee training avoid entropy, it also leads to an increase in knowledge and skill development. Employee training will improve the performance and capabilities of your company’s roster, increasing the quality of their work. Training your employees to be more competent in their field makes much more sense than hiring new employees and starting from scratch. For starters, you have already established rapport with your existing employees. Also, most of the time, an employee who could handle multiple tasks beats multiple employees who can only handle a single task. So if you think your company needs more people, maybe you just need more training. Most people in the workforce, especially the new generation, see professional development as crucial to their work satisfaction. If you’re not providing employee training, don’t be surprised if your employee is looking elsewhere or if they don’t care to deliver their best. They might even think they’re wasting their time at your company if they see that they’re not growing professionally. Money isn’t the only value employees from their company. Employees appreciate companies who give training. They see it as a gesture that the company cares deeply about their employees and wants the best for their development. Employee training creates a supportive environment in the workplace, empowering your employees to deliver more and be more confident. Employees who are valued and stimulated feel more satisfaction towards their jobs. In the subject of employee training, health and safety training is commonly overlooked by management as a crucial subject matter. However, health and safety training actually provides a great amount of value to your workplace by reducing risks. Health and safety should be a priority for everyone in the workplace, and training helps emphasize that. Giving everybody training on it leads to your employees thinking that you care about their safety and well-being. This cultivates a positive work environment at your company. Without effective training, accidents and occupational hazards may become more frequent. This could lead to costly legal battles and large hospital bills paid for by the company. Not to mention, workplace accidents slow down the workflow of your company. GREAT, NOW WHERE DO I START? Blossoming plants must be nurtured by able gardeners using effective gardening. Employees must be trained by able management using effective programs. However, you should consider leaving it up to the professionals. Not only would it save you time and money, there would also be a guarantee of success — granted that you choose the right company. There are reliable companies that provide training services using tried and tested methods. Infinity Staffing can customize an effective safety program that can guarantee a safe hazard-free environment. We have core training programs available for Bloodborne Pathogens, Respirator Training, CPR/First Aid, Slips and Falls, Ergonomics, and many more. If you’re interested, check out our page here.